DAP respects the decision of PKR to vacate a parliamentary seat next week to make way for Anwar Ibrahim to contest. Its secretary-general Lim Guan Eng said it was the decision and right of PKR to do so. "We respect the decision of the party's leadership and will wait for them to discuss the matter with us," he said when met after attending the Briefing and Information Program on the Sales and Service Tax (SST) at the Bentong Chinese Chamber of Commerce in Bentong today. 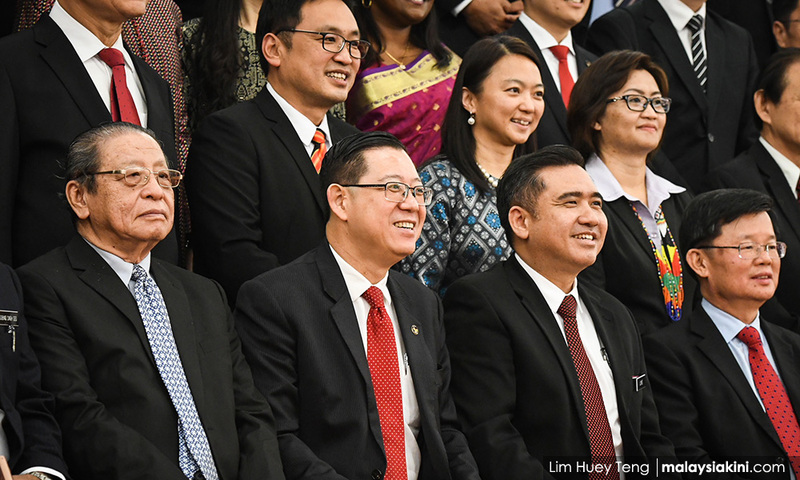 The speculation on vacating the parliamentary seat was confirmed by Deputy Prime Minister Dr Wan Azizah Wan Ismail and PKR vice-president Rafizi Ramli, but they were tight-lipped on which seat would be involved. Earlier when officiating the office of Bentong Member of Parliament Wong Tack in Jalan Chui Yin here, Lim thanked Bentong constituents who voted for Pakatan Harapan in the 14th General Election in order to transform the national administration. "Without their support, we could not form the government that was newly formed and thus meant there would be no hope for our children. "For the past four months, I had spent time in the office to resolve the debt left by the previous government. If the debt is not resolved, it will lead to a national crisis. "If this matter cannot be resolved, we need not discuss other matters because there is no money. So, I hope the government is given time to resolve the debt problem first,” he added.